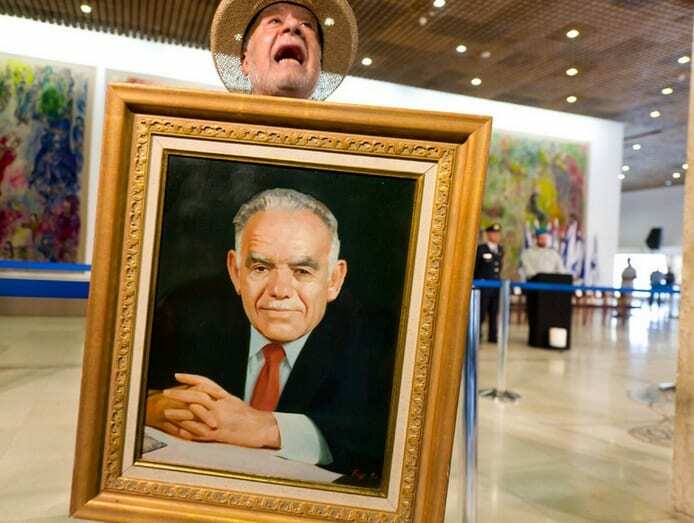 A man holds a portrait of Israel’s former prime minister Yitzhak Shamir, who died on June 30, near his coffin during a ceremony at the Knesset, Israel’s parliament. Shamir, born in 1915, was a veteran politician and served as Israel’s prime minister for two terms, 1983 to 1984, and 1986 to 1992. This entry was posted on July 3rd 2012 at 1:16pm/13:16 and is filed under Live News Column 1, World News. You can follow any responses to this entry through the RSS 2.0 feed.